Rare Apple items: Twiggy 128k Mac, green-screen Lisa, Apple buttons, and clear Mac SE. 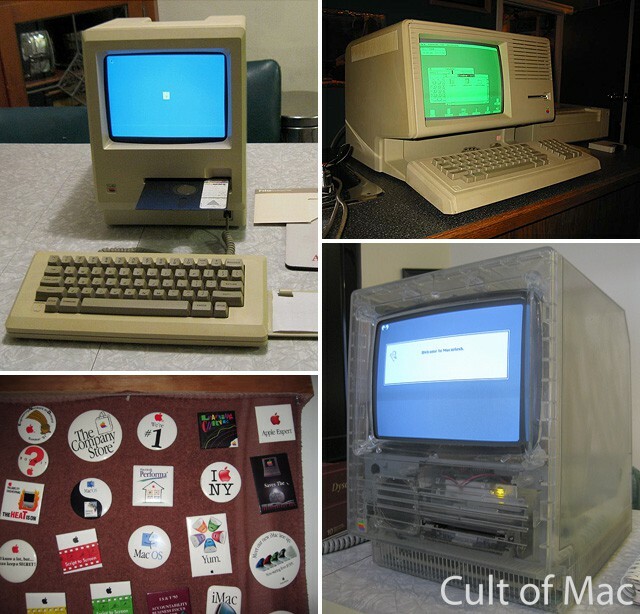 What does it take to be a vintage Mac collector? A love of all things Apple and an encyclopedic knowledge of the many successful, unsuccessful and downright notorious products Cupertino has released over the years are a given. But the job can be more perilous than you’d imagine. Just ask Adam Goolevitch. 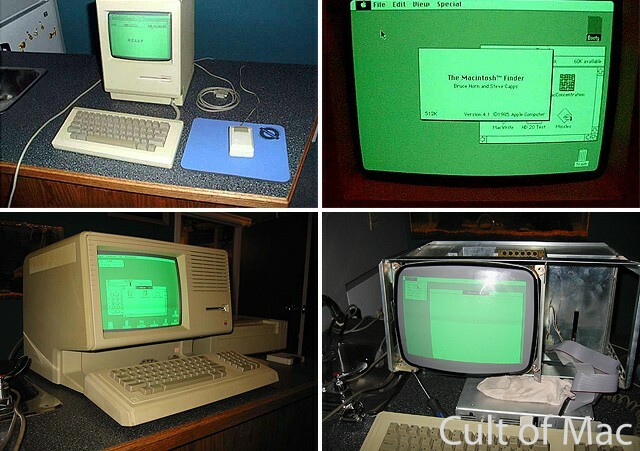 Known as “wozniac” on eBay, Adam is one of the premier vintage Mac collectors around. In just he last couple of months, some of Googlevitch’s rarest finds — including a 128k Mac with a 5.25” Twiggy floppy disk drive and a Macintosh SE with a clear outer case — have hit the web and sparked a flurry of interest. But collecting these Macs isn’t always easy. From almost losing a finger to a PowerMac G4 Cube to mistakenly being investigated by the police under the suspicion of dealing drugs instead of Macs, Googlevitch has some wild stories to tell that prove that being a vintage Mac collector isn’t necessarily for the faint of heart. 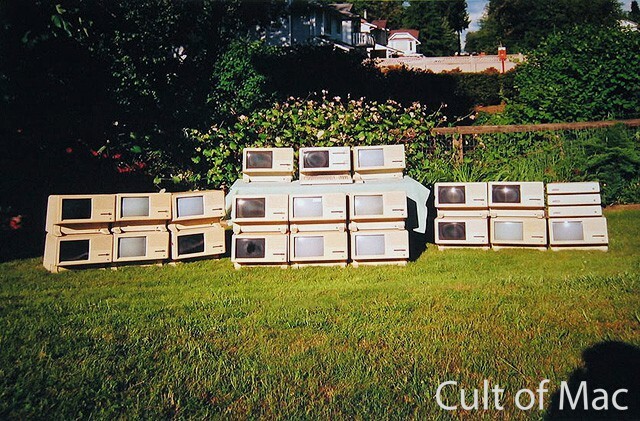 Cult of Mac sat down with Adam to hear some of his adventures and also get the scoop on the rarest machines in his collection. CoM: Your recent acquisitions have gotten lots of attention recently. Tell us a bit about yourself. Adam: My name is Adam Goolevitch, I am 31 years old and live in Vancouver, Canada. I formerly worked at an Apple Authorized Reseller, MacStation, for five-and-a-half years (2000 – 2006). I was in sales and service, and also managed the used computer trade-ins and pricing. Occasionally, I helped folks transfer their data from vintage machines to new ones. Adam Goolevitch with a restored Lisa 1. My first Lisa 1 I bought from a former Apple developer for $800 USD when I was 21 years old. At this time, it cost $1.57 Canadian dollars to buy 1 US dollar. This Lisa subsequently sold for $10,000 USD on eBay; almost 16,000 CAD. That was the down payment on a house that my brother and I bought together. Over the years, I have restored eight Lisa 1 computers, about 25 Lisa 2s, some Apple IIs, and many early Macs. CoM: The Twiggy 128k Mac that you put on eBay for $100,000 attracted lots of interest, but ultimately did not sell. Are you going to try alternate methods to sell the system, or just hold onto it? Adam: I have made 3 additional attempts to sell the Twiggy 128k Mac since the initial listing (which managed to get over 96,000 views). Even with the asking price cut in half to $50,000, I still did not get a bid. My pricing was roughly determined by its rarity. A Lisa 1 is worth between $12,000 to $15,000 USD, but there are about 30 or more Lisa 1s out there. 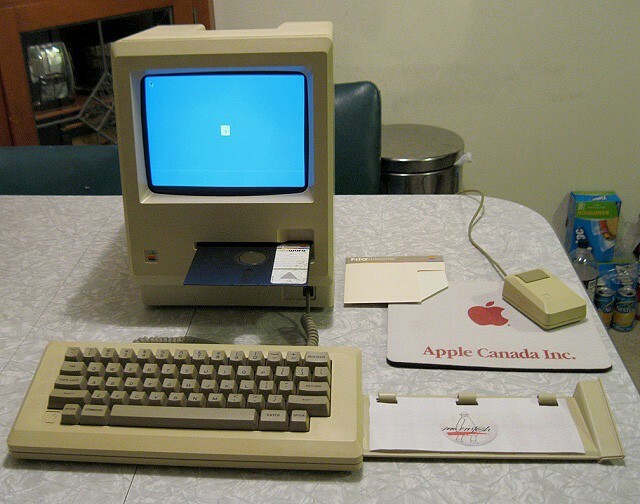 The prototype Macintosh 128k is the only complete example found so far. Macintosh 128k prototype with a Twiggy floppy disk drive. The reason for selling is that I would feel much better about these sorts of computers being properly cared for, perhaps in a proper museum like the Smithsonian. If someone is willing to pay this price they are probably going to take really good care of it. It is an important piece of history to preserve. Due to the historical significance of this computer, if something bad were to happen to it under my care, I don’t think I could ever forgive myself! I may decide to just keep this machine for now, or if someone who is interested makes a generous offer, I would definitely consider it. CoM: This is the same unit that originally made news back in January, right? In that case it’s been sold twice this year already. Adam: Yes. The prototype Mac 128k was purchased from a fellow who found the computer posted for sale on craigslist. The computer was for sale by its original (first) owner, a retired engraver. He had said that he worked at an awards manufacturing company in the early 1980’s. Apple sent the computer to this company in order to have an example piece in which to design and make a Macintosh-themed award. After the work was done and the awards shipped to Apple, he attempted several times to have the computer returned, but he could not get ahold of his contact at Apple. Eventually, someone at Apple said to “just keep it.” So he did, for the past 29 long years. Being that the machine has a 5.25” disk drive, the machine has never been used, nor has it ever booted up, since 1983. I am actively trying to find any Mac software on Twiggy disk and one day get this machine operational. I have heard that only Mac OS version 0.7 or less will work on this machine. CoM: What about the clear Macintosh SE? Adam: The clear Mac SE was acquired from a former Apple employee who was the Senior Manager of manufacturing, engineering, and new technologies at the time. He claims to have actually signed the purchase order to have these clear SEs made back in the day. He worked on machines ranging from the Lisa, but his most noted work was with the Macintosh II series. Macintosh SE prototype with clear plastic case. CoM: How did the eBay name “wozniac” come about? I’d imagine you get mixed up with the actual “Woz” fairly often? That occurring was, in a way, a curse and a blessing. It did attract a heck of a lot of media attention and brought a lot of hits to the site, but on the same note, I did not want to offend Woz. I added a note at the top of my listing that I am not Woz, nor am I attempting to impersonate him. CoM: You used to work for an Apple reseller. What’s your involvement with Macs and Apple products now? Adam: I helped maintain and repair the Macs at my high school, both in the computer labs and in the library. After graduation, at MacStation, I started out fixing and cleaning trade-ins and auction lots of used Macs that the store had bought. I moved into a retail sales & service position and became the manager of “Used Database” and “Used Price Lists” that we used internally. I had actually become the employee who generated the highest gross profit for the company for over a year and a half prior to my departure. I had left to try out working at eBay’s customer service center in Burnaby, BC. However, 4 months later they pulled out of Canada. Meg Whitman had left the company, and the new CEO decided to make some radical adjustments. I then went on to data cabling installations, and I did a lot of overtime work and equipment installations for Bell Canada leading up to the 2010 Olympics. Sadly, my involvement with Macs is confined now to home use. Mac 512k and Lisa 2 systems with green phosphor screens. CoM: Your email notes say you’ve restored a number of old systems, including eight Lisa 1 computers. Do you seek out and resell old systems as investments? Adam: I believe strongly in the restoration and preservation of vintage technology in general. Specifically, I am a huge Apple fan, so most of my work pertains to Apple products. I also restore antique telephones and vintage video game systems. Selling duplicates and multiple items that I have not only allows me to fund my hobby, but also allows me to pass on some exciting items on to other collectors. I have, on occasion, paid quite a bit just to get my hands on a Lisa 1. Given the amount of work that it can sometimes take to restore a Lisa 1, it can sometimes be debatable if it is worth all of the time invested to restore it. Most people know what a Lisa 1 is worth these days. A sampling of Adam's collection. CoM: Your email mentioned some crazy stories about acquiring these machines, including one time where the police were listening in on the other side of a hotel room door while you were negotiating a sale. Apparently they thought it was a drug deal? Adam: Yes. I had sold a Lisa 1 to a buyer in California. She drove up to Bellingham, WA to meet me and my father, who drove across the border with the machine in-hand. We met her at the hotel that she was staying at for the night. In the hotel lobby, she proceeded to pull out a fist full of 100s; I guess to show us she had adequate payment for the machine. She then asked us, “to bring it up to her hotel room” to demonstrate it working. What we did not realize was that the hotel’s front desk clerk had seen all of this and immediately informed the authorities that there was some suspicious activity going on. My father and I brought the Lisa 1 and its accessories up to her hotel room on the 2nd floor, set it up, and demonstrated the machine in fully working order. She then paid in full, and we talked a bit about the machine and its history. When the conversation was over, my father reached for the door knob and opened the door. To his surprise, there were two law enforcement officers standing there! My father just about had a heart attack on the spot. They had been listening the whole time to judge what was going on. We told them about the computer, and that we had come to deliver it to her. “Nothing illegal here, officers!” To their delight, they asked some basic questions about the Lisa 1, smiled, and went on their way. CoM: Yeah that’s quite an experience! What’s another interesting story? Adam: In 2000 I brought back a Lisa 2 and additional parts from Sydney, Australia, during their Olympic Games. I recall seeing the G4 Cube on display in an Apple reseller store for the first time there. I was fascinated with how the CD drive was vertical and instantly wanted to test it out, as the machine somewhat resembled a toaster. I had stuck a CD on the end of my finger and when I inserted it into the slot it started sucking in the CD with my finger still in the center hole! For a second there I thought I was going to lose a finger. CoM: I’m not sure workman’s comp insurance would cover that! Thanks so much for your time, and have fun continuing your adventures. Keep us posted on any new rarities you find. Adam: You’re welcome, will do. Apple and Mac-related button collection.